Scattered throughout the varied landscapes of the northeastern part of the United States are many flowers that decorate the region with vibrant colors and interesting forms. Despite the area's extreme temperature changes and climactic shifts through the seasons, its native and naturalized flowers thrive well and are in full bloom from spring through summer. Maine selected white pine cone and tassel (Pinus strobes, linnaeus), also known as Eastern white pine, as its state flower in 1895. A member of the Pinaceae family, white pine cone and tassel is native to most of the eastern half of North America. One of the striking features of the white pine is its large size. The tree grows up to 150 tall at mature height. Its flowers are the red or brown-colored strobili (cones), which form on the tree in late spring. The state of New Hampshire selected purple lilac (Syringa vulgaris), also known as common lilac, as its state flower in 1919. Purple lilac is a member of the Oleaceae, or olive, family, and grows as a perennial shrub in the northeastern region and other parts of North America. This flowering plant grows from spring through summer, reaching up to 20 feet in height. It thrives in full sun to partial shade in moist to moderately dry soil, and its bold purple, four-petal flowers bloom in late spring. 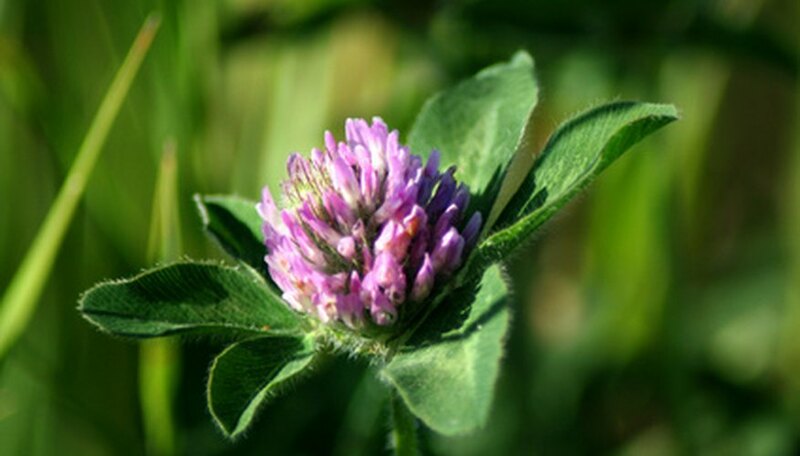 Red clover (Trifolium pretense) became the official state flower of Vermont in 1895. Although it grows throughout Vermont and most of North America, it is a non-native flowering plant. This flower is a member of the Fabaceae (bean or pea) family, and grows to 2 feet in height in full sun and moist to semi-dry soils. Its red flowers bloom in late spring. Trailing arbutus (Epigaea repens), a member of the Ericaceae, or heath, family, is the state flower of Massachusetts. Also known as mayflower, shadeflower, gravel plant, ground laurel, winter pink and mountain pink, trailing arbutus is a native flower found in most of the eastern half of North America. Its white flowers are in bloom from March through May. According to the University of Wisconsin, trailing arbutus is regarded as a hazardous and invasive species. Common blue violet, or common meadow violet (Viola sororia), is the state flower of both Rhode Island and New Jersey. This flower grows in the moist soil of woody areas in the Northeast, and the plant grows up to 6 inches in height. Its purple flowers bloom from April through June. In 1907, the State of Connecticut declared mountain laurel as its state flower, and in 1933, Pennsylvania claimed mountain laurel as its state flower as well. Mountain laurel (Kalmia latifolia), a member of the heath family, is a native flower that grows along the eastern region of the United States. Its white to purple flowers bloom in mid-spring, and the plant grows to 6 feet in height in moist to dry soils and full sun to partial sun exposure. The rose (Rosa L.) was selected as the New York state flower in 1955. A non-native flowering plant, the rose is a member of the Rosaceae family. Roses grow as perennial shrubs that thrive in moist soils and full sun to partial shade.